With Seaton Park just a few steps from your door, you can leave your student accommodation and take your books outside to study on the lawns. Start your day with a riverside jog, or take a detour to admire the blooms at Cruickshank Botanic Garden. Refuel with tea and cake at Kilau Coffee, then hit the shops at Bon Accord & St Nicholas mall, check out the exhibits at University of Aberdeen Zoology Museum, or catch a matinee at Belmont Filmhouse. 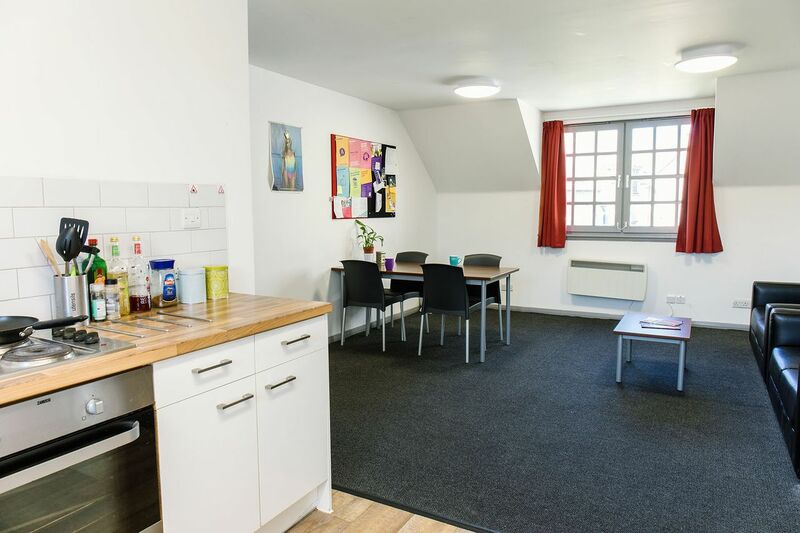 You’ll enjoy a quick and easy commute from Liberty House - Don Street as it’s a 10-minute walk to campus from your Aberdeen university accommodation. 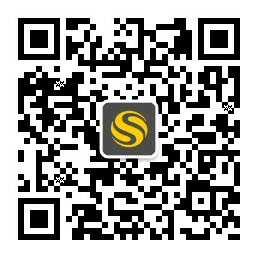 If you have your own transport, bike storage and car parking are available, and there’s secure entry for total security. 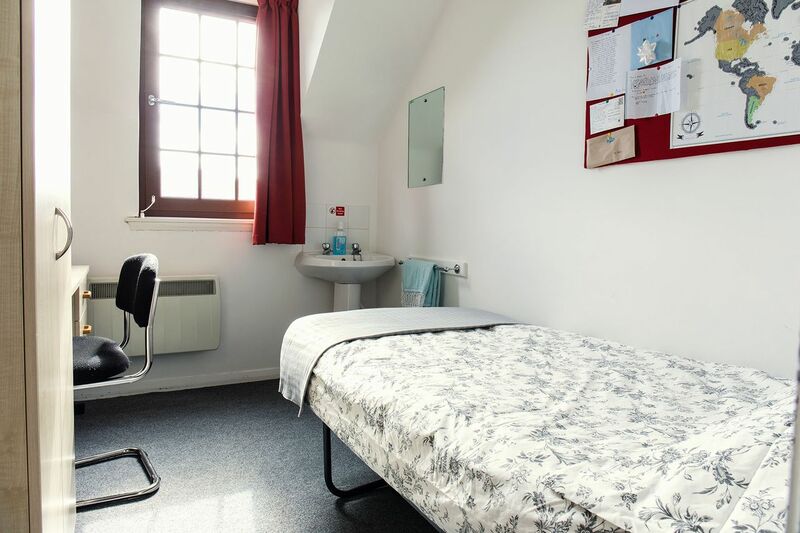 There’s plenty of space to study, socialise and relax in your private bedroom, which is fully furnished with a comfy bed, desk and chair - and there’s free Wi-Fi to keep you connected. 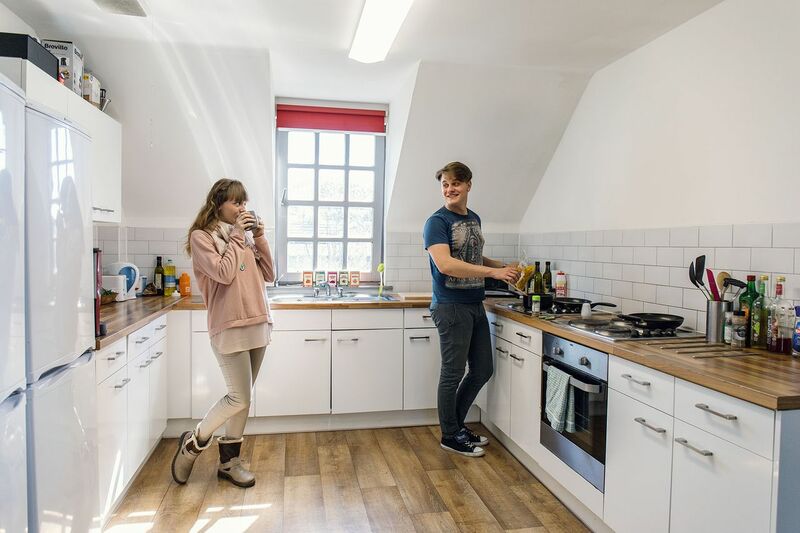 You’ll share a bathroom, kitchen and living area with other students, although there is the option to choose an ensuite room if you’d prefer more privacy. Get to know your neighbours in the social spaces; there’s an external courtyard and barbecue area, as well as a shared laundry. All bills are included in your rent, and there are onsite staff to answer your questions, deal with maintenance issues and take delivery of parcels. Wir haben leider keine Unterkunft gefunden, die deinen Wünschen entspricht.Alle Privatzimmer in Liberty House - Don Street ansehen.